The only way forward for Kim is to bypass the Trump administration altogether and strengthen relations with those who will help him achieve his strategic objectives. 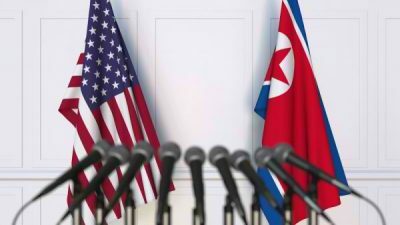 He must show that he is a trustworthy partner who is willing to continue along the path of denuclearization regardless of the obstacles and provocations created by the United States. He must continue to seek the input of leaders in Beijing, Moscow and Seoul and prove to them that he is unwaveringly committed to ridding the peninsula of its nuclear weapons in the interests of peace and security. Kim must welcomeinternational weapons inspectors to monitor the decommissioning of his nuclear arsenal and his nuclear enrichment plants. He must increase the frequency of his visits to Seoul where his public approval ratings have skyrocketed and where his efforts for peace and reunification are applauded by nearly 80% of the people. He must “promote his own denuclearization timetable” and present his case to the UN Security Council for review. He must convince the public that he will not backtrack on his ironclad commitment to dialogue, cooperation, economic integration and peace.